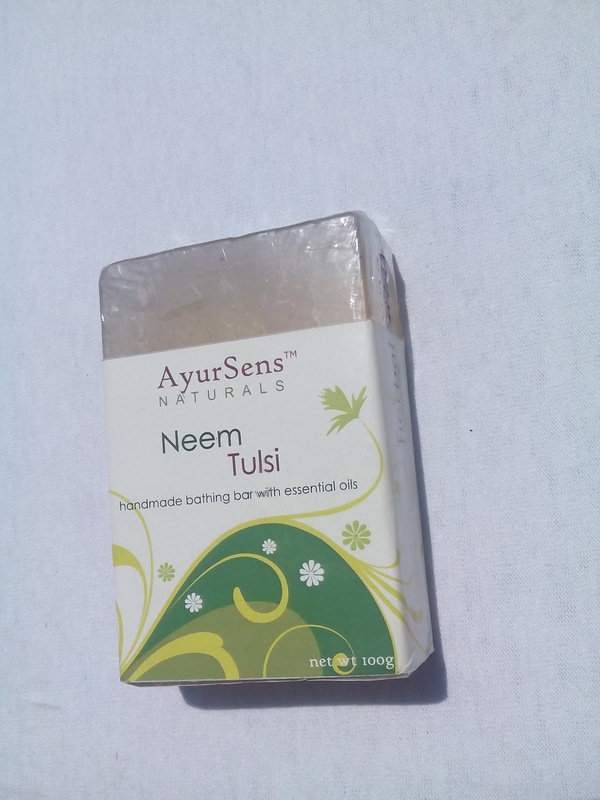 AyurSens Neem Tulsi bathing bar combines excellent toning, soothing and anti bacterial properties of Neem, with anti fungal and cleansing properties of Tulsi. 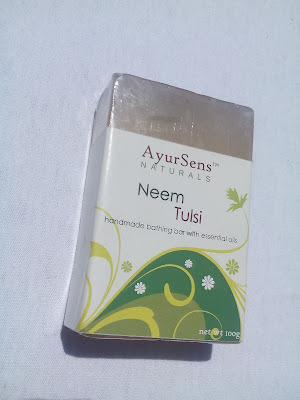 AyurSens Neem Tulsi is our ultimate complexion care bar that will captivate your senses. 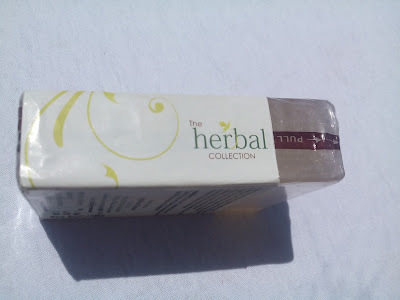 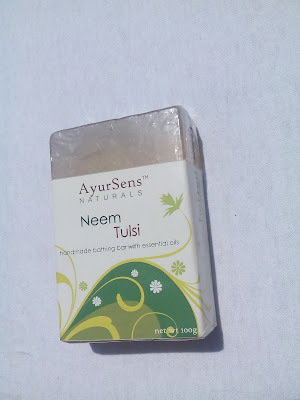 Neem and Tulsi are recommended in Ayurveda for complete skin care and this soap is well suited for all skin types. 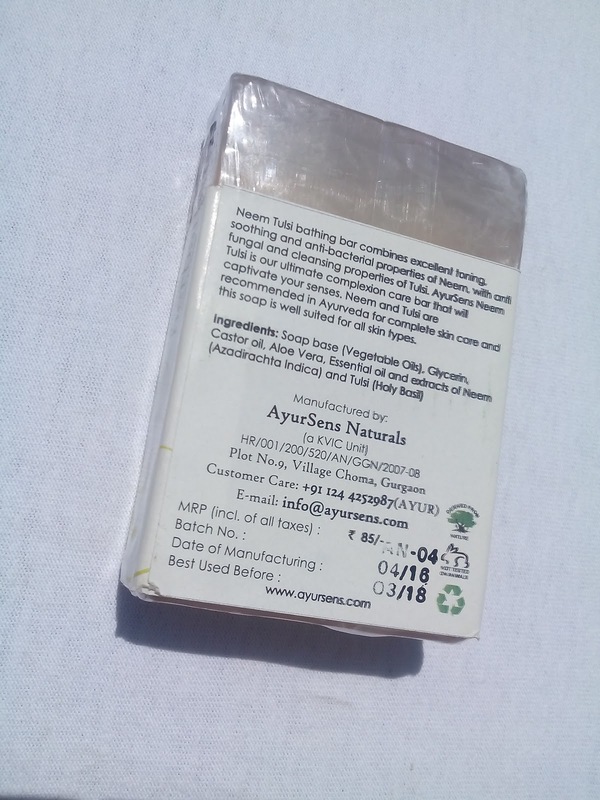 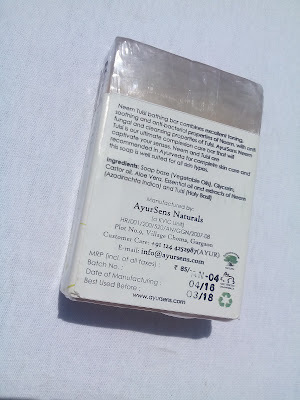 The AyurSens Naturals Neem Tulsi Soap comes in a clear plastic wrapped sheet with product information on it. Ayursens Naturals Neem Tulsi Soap have a mild fragrance of neem. 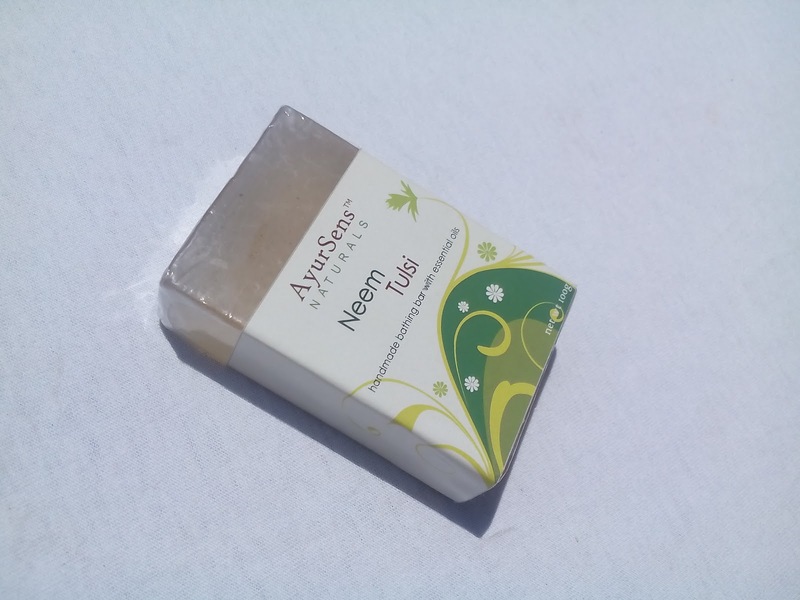 It lathers very well with a rich creamy foam which cleanses the skin thoroughly yet gently. It makes the skin very soft and supple.